You’ve probably heard about the Heartbleed SSL vulnerability that is compromising secure Internet communication worldwide. If you’re concerned about your PaySimple account, don’t worry– PaySimple systems are NOT AFFECTED by Heartbleed. Heartbleed allows anyone on the Internet to read the memory of the systems protected by the vulnerable versions of OpenSSL software. This means that even if you see an “https” in your browser url bar, and even if you see the lock icon, you cannot be assured that the personal information you submit over the web—such as credit card numbers, bank account numbers, passwords, etc.—is safe from hackers and other malfeasants. PaySimple production and sandbox systems use Microsoft servers running IIS and using Microsoft’s Security Support Provider Interface (SSPI) API to implement SSL and TLS protocols for secure “https” communications. To be extra safe, we have scanned all of our production and sandbox systems to be sure that no instances of OpenSSL exist in our environment. They do not! So, you can rest assured that your personal information and your customers’ personal information has not been affected by Heartbleed, and that it remains safe and secure in PaySimple’s PCI Compliant systems. Heartbleed has affected many large sites such as Yahoo, Facebook, Google and Amazon Web Services, and has affected many smaller sites as well. Unfortunately, due to the nature of the bug you may never know if your personal information has been compromised. However, to be safe you should change passwords on all affected sites, but only after you have been notified that they have been fixed. 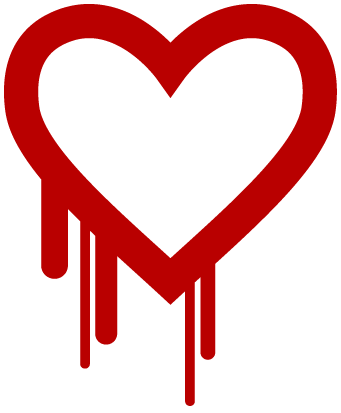 According to the New York Times post on Heartbleed, many sites have already installed the fixed version of OpenSSL and closed the hole, but others are still working on the problem. So, before changing your password wait for a communication from the site, or look for a notice stating that the system has been patched.